With the economy in shambles and labor being asked to sacrifice to pay the cost of management's failures, it's time for a return to fighting unions run by rank and file membership. Instead of the current unions, that entertain ideas of betraying the retirees th at came before them and selling out their new members and their own future in the process. Urging members to give back wages and benefits that workers literally fought and bled for decades to achieve; even as the corporate executives, who drove the industry into ruin, continue collecting multi-million dollar salaries without any repercussions. What we need is a return to the type of union epitomized by the Wobblies; a radical, aggressive union that isn't afraid to fight for its member's interests. You ask me why the I.W.W. is not patriotic to the United States. If you were a bum without a blanket; if you had left your wife and kids when you went west for a job, and had never located them since; if your job had never kept you long enough in a place to qualify you to vote; if you slept in a lousy, sour bunkhouse, and ate food just as rotten as they could give you and get by with it; if deputy sheriffs shot your cooking cans full of holes and spilled your grub on the ground; if your wages were lowered on you when the bosses thought they had you down; if there was one law for Ford, Suhr, and Mooney, and another for Harry Thaw; if every person who represented law and order and the nation beat you up, railroaded you to jail, and the good Christian people cheered and told them to go to it, how in hell do you expect a man to be patriotic? Unfortunately, shortly after their rise to prominence, the government, acting on the behalf of corporate interests, began engaging in a campaign of repression and persecution of the Wobblies. The Wobblies were fast becoming a formidable force in the labor movement and they were determined to put an end to it before it was too late. Companies often employed Pinkerton agents or hired goons along with military troops and police provided by government connections as strikebreakers to attack and intimidate striking workers. In one of the worst of many examples of labor clashes, 250 IWW members from Seattle travelled to Everett, Washington to protest restrictions on free speech and violent attacks on Wobblies by local police during a 1916 strike. Their ferry was met at the dock by the local sheriff and about three hundred deputized strikebreakers. When the Wobblies refused the sheriff's orders to turn back, him and his "deputies" opened fire on the boat. The union members returned fire and the ensuing melee resulted in eleven dead and twenty-seven wounded passengers; plus two dead and twenty-four wounded on shore. Things got even worse with the onset of the First World War. Opponents took advantage of the IWW's anarchist, socialist, and pacifist beliefs; as well as their close affiliation with immigrants to strike at its membership. Beginning in 1917, IWW union halls throughout the country were raided by Justice Department agents and hundreds of Wobblies were arrested. They were charged with acts in violation of the newly passed Espionage Act including conspiring to hinder the draft, encourage desertion, incite revolution, and intimidate others in connection with labor disputes. The government used wartime hysteria to justify the imprisonment or deportation of thousands of IWW members. In addition, portrayals of the Wobblies in government and corporate propaganda as "enemy aliens" and traitors for their opposition to American involvement in WWI led to many Wobblies being attacked by vigilante mobs. In Butte, Montana; Frank Little, a member of the IWW General Executive Board, was kidnapped by six masked men and lynched for criticising the war. Wesley Everest was beaten, castrated, lynched, and shot (the most complicated suicide ever!) in Centralia, Washington by a mob after being arrested following a gunbattle between Wobblies and group of war veterans, who had attacked the local IWW union hall during an Armistice Day Parade. Many other Wobblies throughout the country were beaten, maimed, or killed by police officials and/or vigilante mobs (often composed of thugs hired by business owners). However, not all the Wobblies' problems were external. Even as the government was using the public's fear of communism to validate their oppressive actions; the IWW was experiencing its own internal struggle over communism. Historically, divisions had always existed between Communists and Anarchists, the two main groups comprising the IWW, involving statism and the role of politics in the union. While the two groups had, for the most part, been able to coexist prior to WWI, the combination of a lack of leadership, brought about by the government repression. and the success of the Russian Revolution brought those divisions to the forefront. Finally in 1924, there was a rift between Wobblies in the eastern states, who favored centralized control of the union and political involvement, and those in the west, who favored more localized control and organizing on the job. 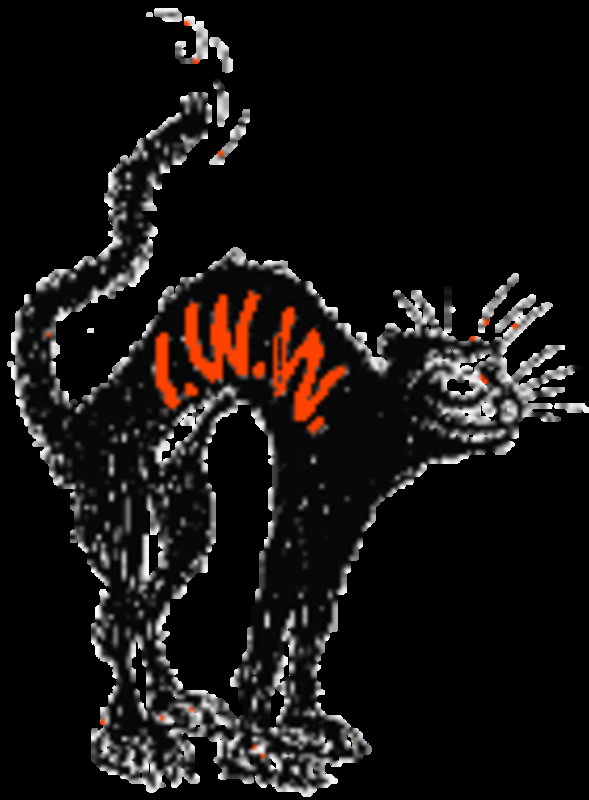 This led to a second union headquarters being set up in Utah and claims from both them and the original in Chicago as the "real-IWW," including two separate IWW union halls in many towns. 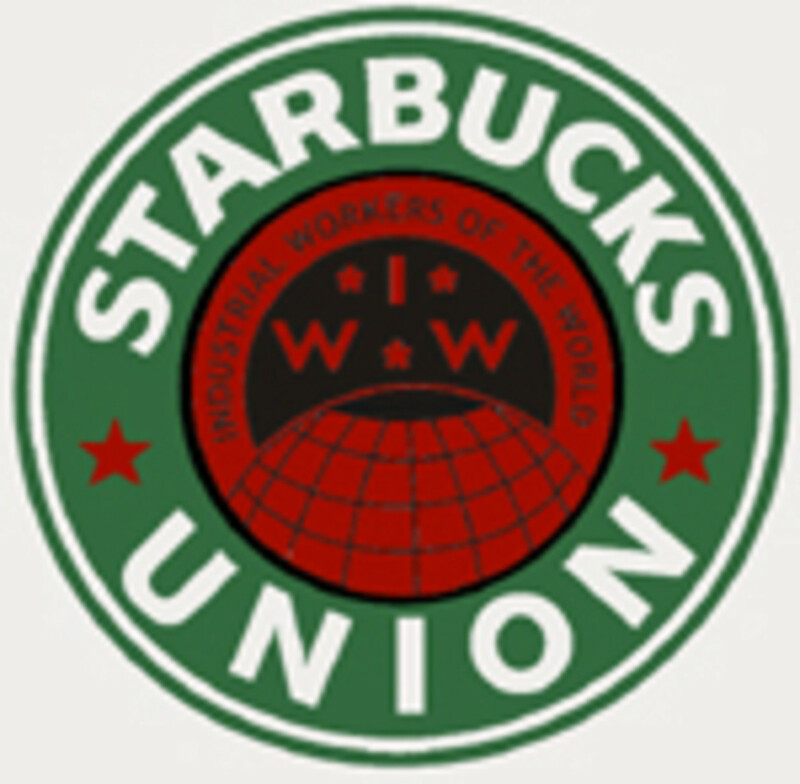 While the western branch of the IWW had folded by 1930, ths split, along with the passage of the Taft-Hartley Act of 1947, which severely restricted the tactics the Wobblies traditionally employed in disputes, contributed to the IWW quickly declining in membership during the next decades. Though they never actually broke up the Wobblies numbers and influence steadily decreased until they became a largely forgotten footnote in labor history. That is until recently, when they have begun to gain ground amongst young politically active workers. 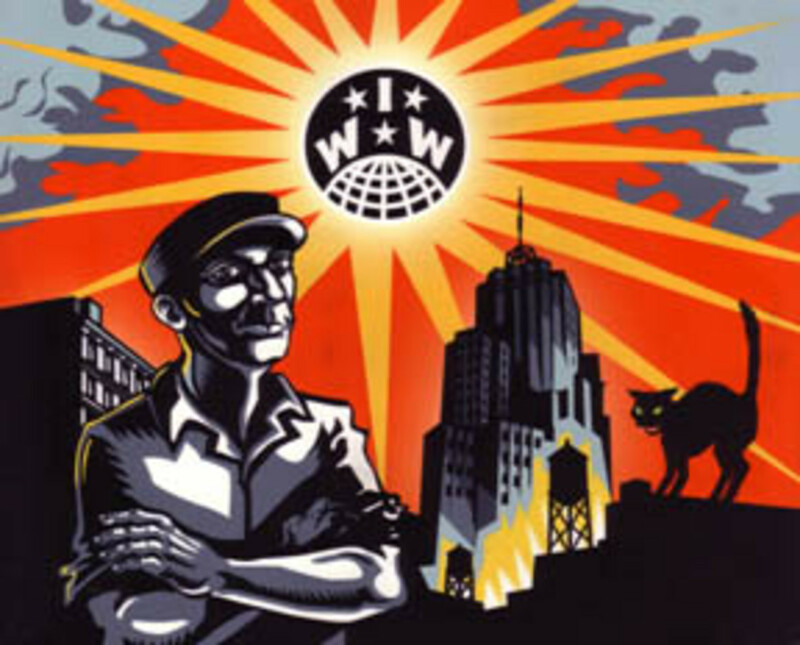 Although membership levels have never come anywhere close to reaching the heyday of the IWW, they have never stopped fighting for workers rights throughout the world. In addition to America, there are sizable active branches in Canada, Australia, Scotland, Germ any and Britain; as well as a smaller branches and individual members across the globe. Just like the original Wobblies, today's members often seek out workers that the more established union can't or won't organize. One method they have used to overcome difficulties in organizing has been to organize the workers directly to act against wrongful labor practices without seeking formal company acceptance for the union. Over-the-road trucking companies have managed to keep other unions traditionally involved in trucking, such as the Teamsters, from organizing their drivers by classifying them as independent contractors, who are prohibited by labor law from forming or joining unions. The IWW, however, has fought for the rights of truckers anyway. They are currently involved in labor actions in support of drivers in North Carolina, Virginia, Stockton, CA., Oakland, CA., Long Beach, CA., and New Jersey, among other areas. In addition, they recently cosponsored the José Gilberto Soto Trucker Education and Organizing Center. 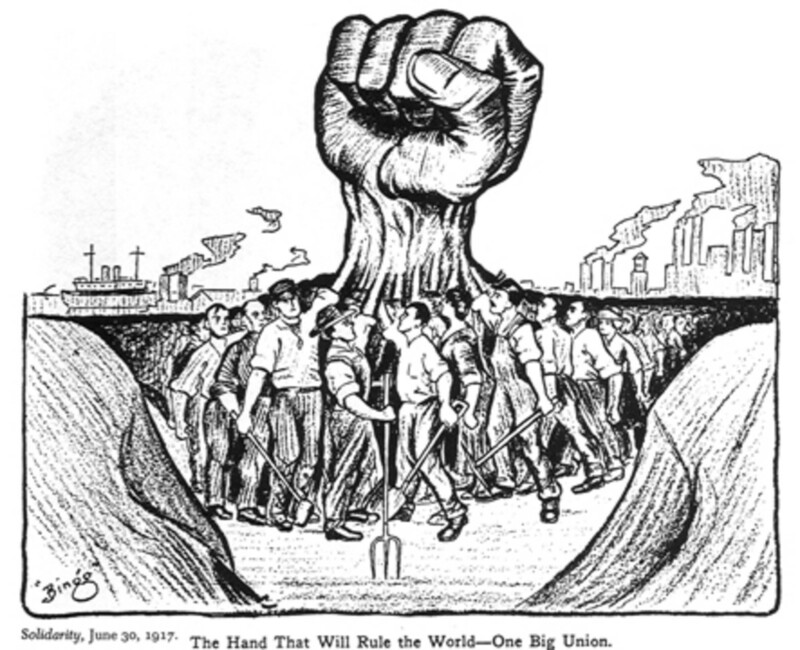 Just like in the past, the IWW has often fought in solidarity with all workers, union and non-union alike, and even those who belong to other unions. There are plenty of parallels to the days when the Wobblies first burst upon the scene. The economy is as imbalanced as it ever was, with close to eighty five percent of the nation's assets in the hands of only ten percent of the population. What's more the labor is unde r attack from corporations trying to maximize profits at the expense of the workers. By moving jobs to other countries, where they can take advantage of sweatshop style labor the Bosses hope to create leverage against workers to take away what pay and benefits they've acquired in the past century. Meanwhile, in spite of the headlines screaming about the downfall of the economy, the CEO's collect handsome paychecks for driving it into the ground, while the workers in those same companies are living in fear of losing their jobs, if they haven't already.